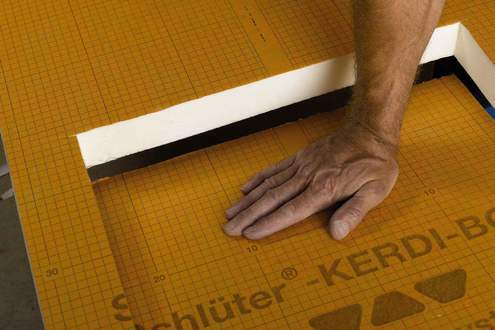 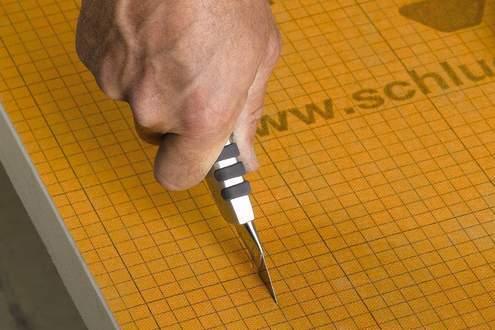 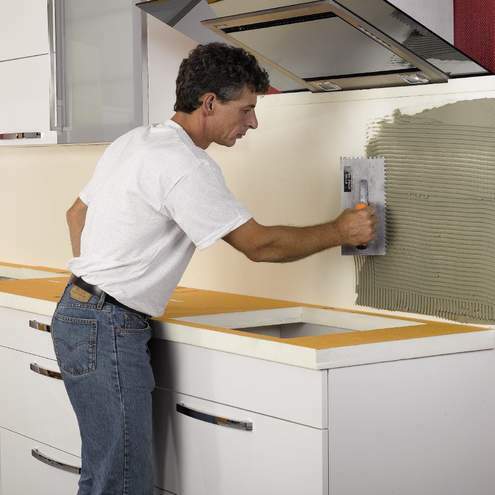 Schlüter-KERDI-BOARD is particularly suitable for building worktops and other surfaces with ceramic tile and natural stone coverings.Thanks to the easy cutting properties of the waterproof material, you can simply cut the panels and the necessary openings to size with a utility knife.The matching U shaped profiles with a brushed stainless steel surface offer an easy to install and elegant finish. 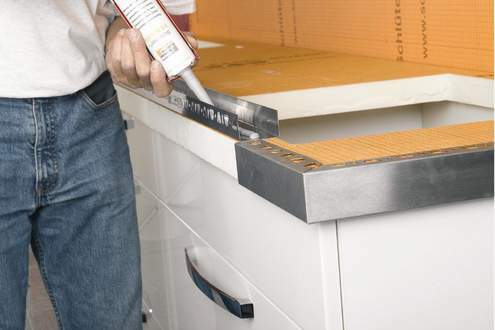 The lower anchoring leg is closed, while the top leg features trapezoid perforations. 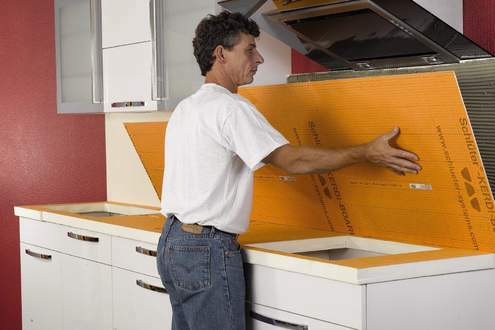 Schlüter-RONDEC or Schlüter-QUADEC profiles offer solutions for neat edge design as well.